T/Sgt. 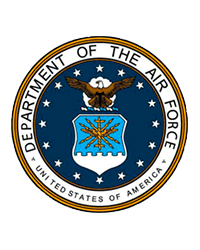 Stephen Lance Nesja, USAF, Retired, 80, passed away on Sunday, January 20, 2019 at the Wisconsin Veterans Home at Chippewa Falls. He was born July 24, 1938 in Eau Claire to Maude (Dana) and Engebret T. Nesja. 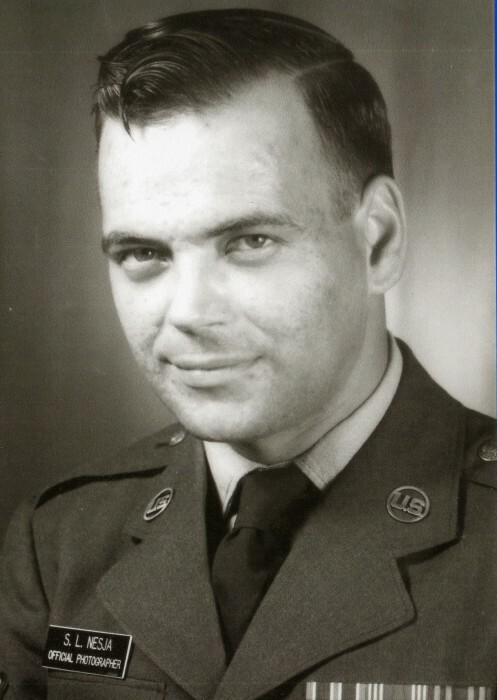 Steve served honorably in the U.S. Air Force from 1956 and retired on April 1, 1980. He never spoke much about his time in the service and the family had always assumed that his main duty was as an official photographer. It was only recently we learned that he was initially trained in the safe handling and transportation of nuclear material as a nuclear weapons specialist. He reminisced that one of his qualities was that he was short and could fit into the payload section where the nuclear material was kept. It was only after he had suffered a serious motorcycle accident and had been in a coma for over a month that the Air Force determined that it was time for him to switch to a less stressful vocation. Steve had enjoyed photography as a youth and even had a darkroom setup in the basement so that he could develop his film. For the rest of his career with the Air Force, he used these skills and traveled around the world and photographed several presidents, military officials and dignitaries. Though he traveled around the world, he never forgot about his family back home. He would often bring back gifts for his parents, brothers and especially his nieces and nephews. A visit from “Uncle Steve” was always special! The gifts were always cherished and we still have many of them: brightly colored silk pointed shoes from Thailand, a leather stool from Turkey, two Bavarian dolls that are dressed in dirndls and lederhosen; and a little wooden plaque that reads, “Looketh for the good”. There were stories about his dog Doc, and how he loved going over to his cousin’s house next door to take care of “Buzzy” the horse. About the photography class he took in high school and how nice the teacher was to him (not like his typing teacher). These stories from him were his final gift to us. They will be cherished. Over his final years, Steve enjoyed the company of the staff and residents at the Veterans Home. The transition was a little challenging for a life-long bachelor, but when he got to know these good people and they fed him good food and made him coffee, he was all in. He always had a kind word to say about the people there and our family saw how peaceful he was to be there. Uncle Steve left this world looking for the good in people and we know he found it. Survivors include two brothers, Barry (Mary) Nesja of Chippewa Falls, Michael Nesja of Liberty, Maine; nieces and nephews, Dana (Larry) Sommerfeld, Cubby (Lisa) Nesja, Chris Nesja, all of Chippewa Falls, Paul (Christy) Nesja of Mt. Horeb, WI, Peter (Kiersten) Nesja of Chippewa Falls, Mary Beth (Tom) Huffcutt of Altoona, Saskia (Norman) Reeve of London, England; and many great (and great great) nieces and nephews. He was preceded in death by his parents; a brother, Christian Thomas Nesja (who died at age 5); and a sister-in-law, Erika Nesja. A memorial service will be held at 11 a.m., Monday, January 28 at Pinehurst Lutheran Church, 3304 Fern Ct., Eau Claire, with the Rev. Paul Sullivan officiating. Military honors provided by the Chippewa Falls Patriotic Council will follow the service at the church. Interment will be held this spring at Prairie View Cemetery, village of Lake Hallie. In lieu of flowers, memorials may go to the Wisconsin Veterans Home at Chippewa Falls, 2175 E. Park Ave., Chippewa Falls, WI 54729.